The driveway and the garage is one of the first things people will notice when they see your home. This is why it’s important to keep the driveway looking good for many years. Keeping the driveway in top shape can be challenging because the driveway takes on a lot of weight on a daily basis. Couple that with seismic activity, and you can see why driveway’s crack and wear and tear fast. Even with proper driveway construction, time will take its toll on the driveway. New driveway construction is an ideal way to bring back the look of your front yard and add curb appeal. Increase the value of your property and nurse those cracks on your driveway or consider having a new driveway poured and installed. When it comes to driveway construction, there are many styles and types that are centered on concrete finish, materials used (such as stone) and pattern. At Lumina Builders Inc., general contractors follow all of the important steps required for a long-lasting and beautiful driveway. A newly poured concrete driveway increases the value of your home, especially a custom driveway construction. Creative and inspiring design and driveway construction is our specialty. There are many inspiring designs that can be created from a myriad of materials. Browse through our catalog of unique and inspiring designs or consult with a Lumina Builders Inc. design expert to create a custom design. 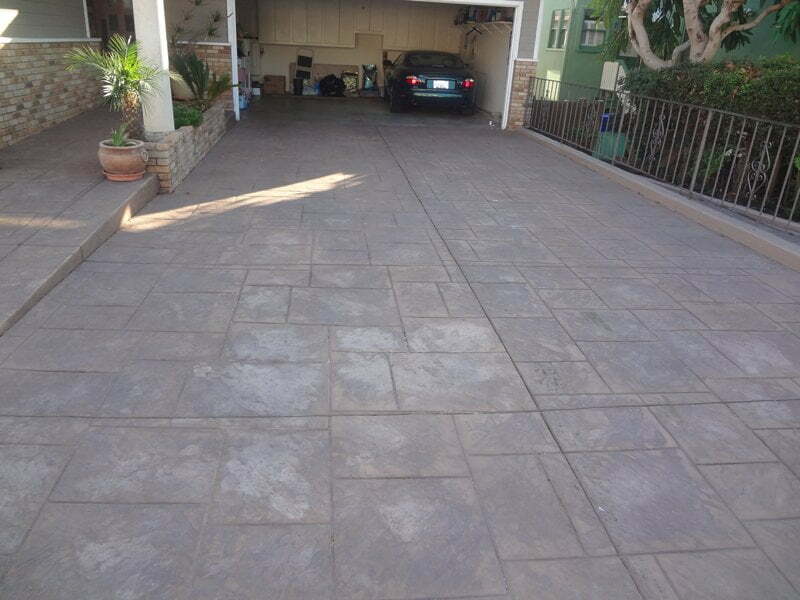 Stamped concrete driveways is one of the most popular driveways. Many of the most popular stamped concrete driveways are designed to resemble brick, slate, cobblestone and other patterns. Lumina Builders Inc. brings stamped concrete driveways to anyone’s front yard. 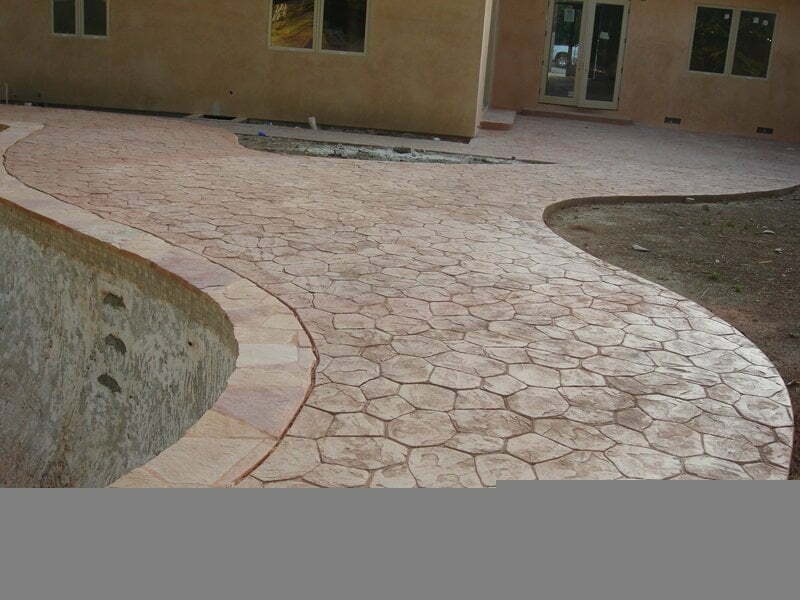 Stamped concrete is popular for creating unique designs. Colorful driveways are the perfect complement to the surroundings of the home. Often, homeowners choose to combine the colors with stamped concrete for a truly inspiring driveway. Lumina Builders Inc. contractors create concrete colors by added the color to the ready mix plant of by “dusting” it on the actual concrete driveway site. Create beautiful colored tones with stained concrete. How does stained concrete work? Stains are unique and create eye-catching colors by reacting with the concrete’s minerals. These reactions produce varying effects that are unique and beautiful. In addition to the above types of concrete driveways, Lumina Builders Inc. offers driveway construction with stone and plain concrete driveways. 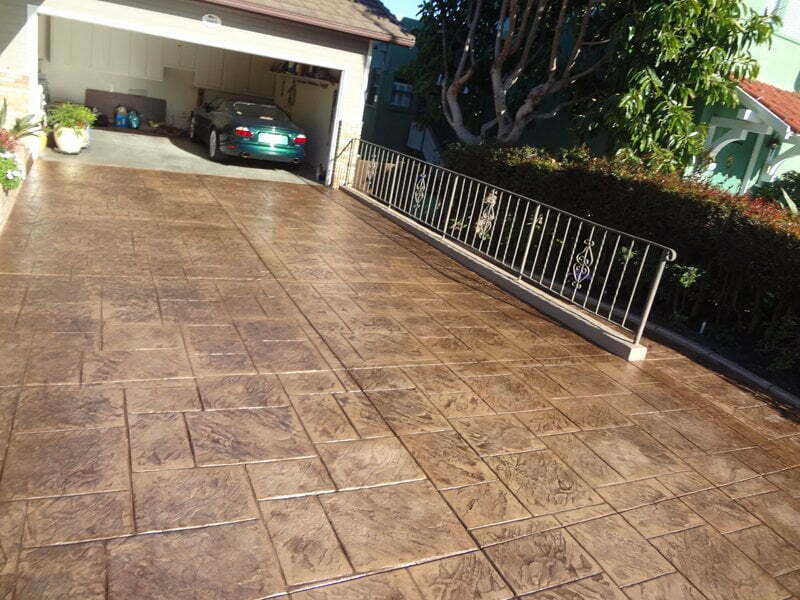 Our exceptional concrete driveway construction is provided by experts in concrete pouring and installation. We ensure your concrete driveway will bring years of beauty to your home. From the design to pouring the concrete to the last minute details, enhance your property with custom driveways. Contact us today.